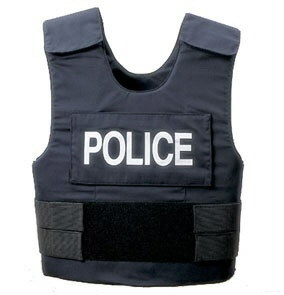 What is stronger than Kevlar, more rare than a four leaf clover, and shines like an Olympic gold medal? A textile made entirely of spider silk. On display at the American Museum of Natural History, this incredible piece took four years and over one million spiders to create. Although the title of “largest textile made of spider silk” now belongs to an embroidered cape, this cloth measures 11’ by 4’, not something to laugh at! Quick, J. L. “A Better Bulletproof Vest.” Bob Johnson’s Toughbook Stuff, 2012. Digital file. Leggett, Hadley. “1 Million Spiders Make Golden Silk for Rare Cloth.” Wired, 2009. Digital file. So, if this material is so strong, why don’t we use it for everything? Well, the reason the production took four years is because one spider can only produce a certain amount of silk at one time! But…What if it could be created synthetically? It’s not out of the question; nylon was developed as a substitute for silk. All that needs to happen is for one person to have an idea. That’s where Randy Lewis comes in. This professor transplanted a gene from the silk-producing spiders into several goats. A mutation of sorts is created, and the milk taken from the goats contains an extra protein. The protein is extracted from the milk through a several processes, one of which involves taking the fat out of the milk. Eventually, the protein is concentrated enough that it can be used to create spider silk. The liquid protein is then slowly injected into alcohol, causing the protein to solidify and form silk. The big question now would be: “Is the process worth it?” Right now, one quart of milk creates a vial of the protein that can make a silk strand 2-3 meters long. Those aren’t fabulous stats, but Mr. Lewis hopes that as the goats keep reproducing, the protein content of the milk will jump from 2% to 10%. Who knows, perhaps in the future we will be able to afford textiles created from these special spider-goats. For more on the spider silk, follow the link below. Its summer, its hot, and its not showing signs of stopping. Wouldn’t it be nice to enjoy some cool breezes rather than bake in the sun? If you are trying to beat the heat here are some helpful tips to keep your outdoor spaces cool as the dog days drag on. Energy efficiency is always a good idea, but in this case literal greenery will help to keep you cool. We all know that shade trees reduce heat, but did you know that grass and other plants can help to keep temperatures regulated in your yard as well? Take a look at the driveway and patio shown in these images. Concrete and pavement absorb heat and radiate it back long after the sun sets. The use of grass and concrete pavers together helps to limit the amount of water needed as well as reduce heat retention. This creates a more comfortable outdoor space, and happens to be a sharp looking design. If your outdoor space receives frequent afternoon sun a shaded area is a must. A patio with an overhang provides an excellent opportunity to utilize outdoor curtains. Your best bet for keeping cool is to open up cross ventilation so that you can enjoy the breeze. Be sure to hang the curtains with a bar or wire that allows you to move them as needed. This way you can make the most of the wind while blocking any direct sunlight. If outdoor curtains are not for you, try this novel planter wall. The wall and plants provide shade, and the slats through the middle will allow air to circulate. When the sun goes down so do temperatures, so make the most of your yard with illumination. There are a variety of ways to create outdoor rooms through the use of solar powered light fixtures, outdoor lighting, and even illuminated furniture. If you are unsure you want to commit to new furniture or lighting try this simple trick to light up your yard. Take oversized balloons filled with air, and just before you tie them off add a small neon glow stick to the inside. These are great tossed into a pool for parties, or if anchored, to line a driveway. Now that you know these tips, get on out there and enjoy your summer! Prime the Flux Capacitor, and secure your time-travel helmets for this installment of Design 101. We will be reaching back, way back, to discover the origins of modern design through the birth of geometry and the Arabic numerical system. If all that does not sound like enough fun for you, there are even algebraic formulas you can try out for yourself! So, hold on tight, here we go! Our first stop on this trip is ancient Alexandria around 300 BCE. There the “Father of Geometry”, Euclid, is writing what will become one of the most influential works of mathematics the world has ever seen. Amongst the many significant geometric observations Euclid records the Golden Ratio. Simply put this means, a+b is to a as a is to b. Fast forward several hundred years to the middle ages and a man who became known as Fibonacci is exploring the Arabic Numeral system and its advantages compared to the then standard Roman Numeral system. Fibonacci is credited with a series of numbers, and a subsequent formula, for determining a golden ratio. Numbers in the Fibonacci Sequence work on a recurrence relation. This means that it can be infinitely scaled larger or smaller. Fheeew! That was getting heavy! What do all these formulas and complicated mathematical lingo have to do with modern design? If it feels abstract and irrelevant, know for sure it isn’t. These are simply attempts to explain why we find certain things to be beautiful. Why across cultures and centuries humans have gravitated toward specific proportions in design. It might be because these ratios are an expression of our own, as seen in Leonardo Da Vinci’s Vitruvian Man, or possibly because the Golden Ratio is everywhere in nature. Regardless of its origins, the Golden Ratio is one element of design that is here to stay. Interior Designers constantly find this principal at work. The Golden Ratio is the reason why rectangular rooms feel the most comfortable, and typically have the best furniture placement options. It is not just a number or a mathematical concept, it is just as much an intuitive feeling that you get when entering a space. If things feel pinched, or out of balance, the Golden Ratio might be the answer. So next time you see an ultra modern house, or a blooming flower, remember the Golden Ratio and see if you cant find this design concept at work. Entering an industry exhibit for Interior Design is nothing short of an “Alice in Wonderland” experience. Never before seen innovations, striking new trends, and designers that have taken at least a few cues from the Mad-Hatter himself! Go ahead, fall through the rabbit hole and experience the wondrous marvels that we have fallen in love with at the French exhibit Maison & Objet.